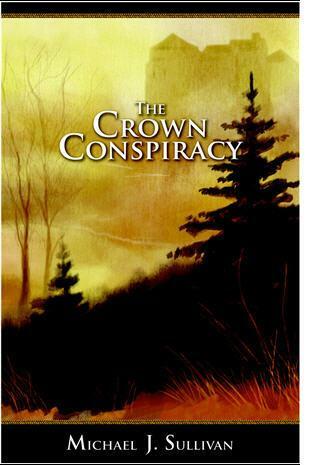 The Crown Conspiracy by Michael J Sullivan is the story of two accomplished thieves-for-hire, Hadrian and Royce, who, after accepting the wrong job, find themselves caught up in political machinations and framed for murder. They are propelled into an adventure which leaves the reader guessing who’s behind it all and wondering how the story will be resolved. It is an enjoyable story with some fun, interesting characters and a plot which, while familiar in themes, feels fresh. There are some cool high-fantasy elements – doors that can only be opened by people wearing magical jewellery, an ancient war against elves, a mechanical-genius dwarf and an ancient, unaging wizard – but the story still felt down-to-earth, very real and solid. The prose can be, at times, a little clunky; exposition is introduced in the dialogue of a character called Myron, a young monk with encyclopedic knowledge of history, giving Sullivan a transparent shortcut when such elements need to be divulged. Nothing is held back, all information about the situation being clearly stated to the reader at the first opportunity where it is relevant, leaving no mystique and sapping the suspense, such that by a short time before the final climactic moments, all of the who and the why is answered, leaving only the how. Sullivan has a sufficiently inventive story, though, that the how does manage to carry it – Hadrian and Royce are frequently unpredictable, their solutions clever and tidy, making it impossible not to root for them. The story is fairly straightforward – while there are, at times, nuances that leave the reader guessing, Sullivan dispenses with complicated side-plots or subtle undercurrents and political webs, making the story accessible and easy to read. Overall, I’d give The Crown Conspiracy 6/10.